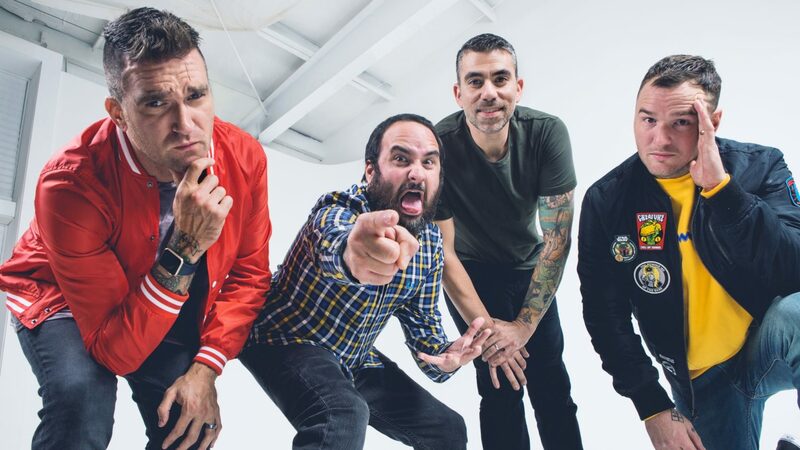 New Found Glory Announce New LP And Summer Tour Dates - GENRE IS DEAD! New Found Glory returns with their third installment in their From the Screen to Your Stereo compilation series, which sees them covering songs featured in major films. From the Screen to Your Stereo 3 comes out May 3, via Hopeless Records. The LP features their covers of Frozen’s “Let it Go,” Rocky 3′s “Eye of the Tiger,” and “The Power of Love” from Back to the Future. Check out the artwork and tracklisting below. New Found Glory also announced dates for their summer tour with Real Friends, The Early November, and Doll Skin. The From the Screen to Your Stereo to Your Town tour kicks off May 30 in Charleston, South Carolina and wraps up July 14 in Fort Lauderdale, Florida. Pre-sale tickets and fan bundles are available here. General tickets go on sale Friday, February 2. Pingback:New Found Glory Go 'Back To The Future' In 'Power Of Love' Video - GENRE IS DEAD!